Can I Use Garbage Bags to Pack and Move? 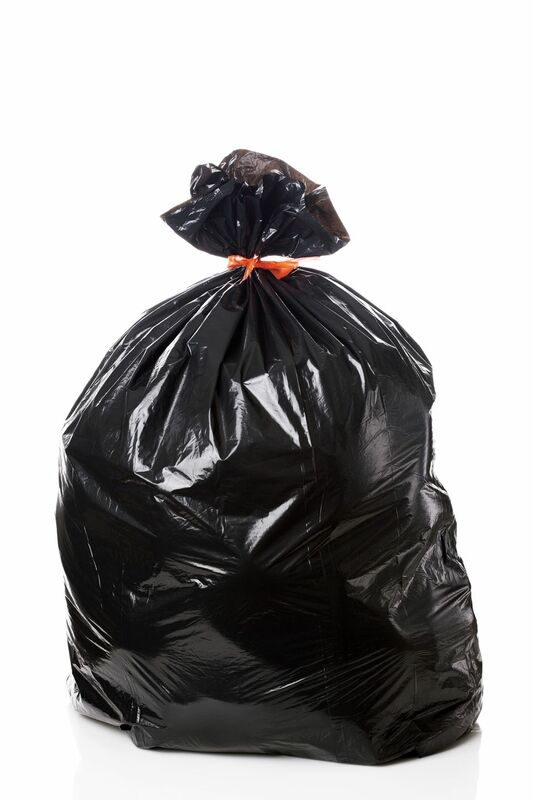 Can I Use Garbage Bags to Pack and Move and What Kind Should I Buy? I had a reader ask me whether I recommend packing and moving using garbage bags. She noted that she doesn't have a lot of stuff and most of it could fit in garbage bags really easily so why not make it easy? While this really should be a 'yes' or 'no' answer, it's not. Complicating the answer and things you have to consider include what you're moving, who's moving you, and how far are you going? But before we even start thinking about moving with garbage bags, we need to purchase the right kind. I know. This should be the easy part. But it's much more complex than even I thought as I tried to remember what I had to consider when I last moved using garbage bags. So let's start there - buying the right kind of bag. What kind of bags should you buy? Purchase bags from a good brand name, such as Glad or Hefty. Stay away from generic brands because unlike some items, generic bags are usually of poorer quality than leading company products. Stick with what you know. It's worth the extra cost. Don't use recycled bags. I'm a huge supporter and purchaser of recycled products and moving green with a small footprint, including trash bags, but when it comes to moving, it's better to stay away from any product that has that friendly recycling symbol on it. Recycled bags can deteriorate when they get wet and are just not as durable. Purchase bags meant for heavy lifting. Read the label carefully. You'll notice that bags not only come in different sizes but also strengths. Get the strongest you can, which are often used for outdoor use. Don't buy bags that contain odor protection. These bags are great for garbage but not for moving your clothes or blankets or dish towels. The scent will linger for a long time or you'll end up having to wash everything. Purchase the right size. If I'm going to use garbage bags to move, I always make sure I purchase the largest size. You don't need to stuff them full, but it's good to have that extra space just in case. Also, bag strength is often related to size so the bigger the better, in this case. Choose the color carefully. I've recommended before that you can use clear garbage bags to pack your clothes so you can see exactly what's inside. But it's also a great idea to choose a mix of colors as long as the strength and size are right. Different colors allow you to categorize where bags belong - for example, green could contain your kitchen stuff and orange stuff that belongs in your bedroom. Clear bags could be used to pack stuff from your office or to pack kids' bedrooms so you can see in an instant whose room the bag belongs to. Of course using a marker to note on the outside which room things belong in can work, too, if your bags are any color other than black. Black bags are my least favorite color to use since they can't be marked easily. The right closures are key. This might seem like such a simple thing - how a bag closes. But believe me, after moving all day, the last thing you want to happen is for a bag to bust open because the closure wasn't secure. I prefer the quick pull-ties as they can be easily opened and closed and will stay closed with a very simple tie. Twist-tied bags are my least favorite. The ties get frayed and are so hard to undo. I also don't recommend tying two ends together into a knot as it's so difficult to open and you'll end up ripping the bag apart in order to unpack it. The best thing about packing with garbage bags is that you can reuse them afterward for garbage if you haven't destroyed them in the move.